A recently cleared forest in West Kalimantan, Indonesia. 17 Mar 2019 – At the end of 2018, Credit Suisse published its updated report on global wealth. Forty-two-million millionaires and billionaires comprise the richest 0.5% of the world’s population. That translates to 0.8% of adults in the report, possessing 44.8% of the world’s economic wealth. A decade ago, researchers commonly reported that the wealthy 15% of humanity owned 85% of the resources. Today, 6.2% (9.5% of adults) now claim 85% of the wealth. The rich got richer. The super-elites, the 2,208 billionaires — those who attend Global Economic Summits, own banks, buy off governments, pollute with impunity, and hold political influence in virtually every nation in the world — comprise not the “1%” but only 28-millionths of a percent of the human population. According to Forbes magazine, the average billionaire makes about $635 million dollars every year, $12 million per week, even when they’re on holiday. For these people, neo-classical economic theory works just fine, but only if one ignores the human and ecological costs: poverty, squalor, homelessness, migrations, biodiversity loss, global heating, disappearing forests, toxic land and water, and rising, acidic oceans. Capitalism is designed to benefit those who have capital, the wealthy. For most of humanity, modern neo-classical economics erodes well being. For the ecosystem at large, neo-classical economics serves as a rationalisation for plunder. Climate scientists and ecologists have blamed Nordhaus for rationalising the failure of governments to take urgent climate action. Some fellow economists — Nicholas Stern at the London School of Economics; Martin Weitzman, at the US National Bureau of Economic Research; and others — have disputed Nordhaus’ assumptions, calculations, and conclusions. In February, at the Scottish Economics Conference in Glasgow, Steve Keen, Head of the Economics, History and Politics School at Kingston University in London, explained errors and omissions in Nordhaus’ theories, which lead to what Keen calls his “absurd” conclusions about climate action. Nordhaus and other economists choose, arbitrarily, to discount the future. If we valued future generations equally to ourselves, we would assume a discount rate of zero. Nordhaus prefers to discount the future at 6% annually, which presumes that communities twelve years from now have less than half the value of a community today. A community or individual 70 years from now has only 1% of our value. The high discount rate allows Nordhaus and colleagues to argue that the economic cost of reducing emissions today is too high compared to the “low” benefit of protecting people in the future. No wonder the youth are in rebellion. 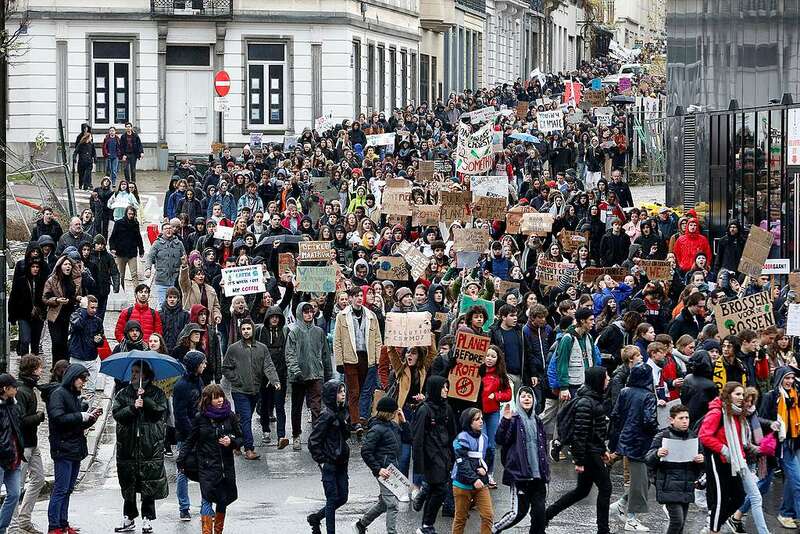 Students in Brussels go on strike for the climate. Furthermore, neo-classical economic theory discounts the poor, since they don’t add much to economic growth. For example, Nordhaus dismisses the global heating threat to agriculture, forestry, and fishing because these enterprises contribute only about 4% of global GDP. 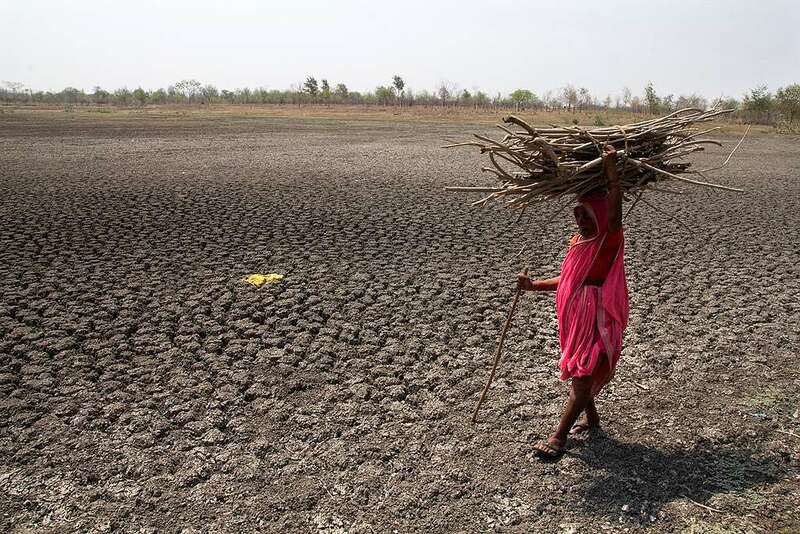 Should food production decline, starvation in poor nations will hardly impact global GDP. Furthermore, these economists discount the entire biosphere — insects, birds, whales, forests, rivers, and dying coral reefs. 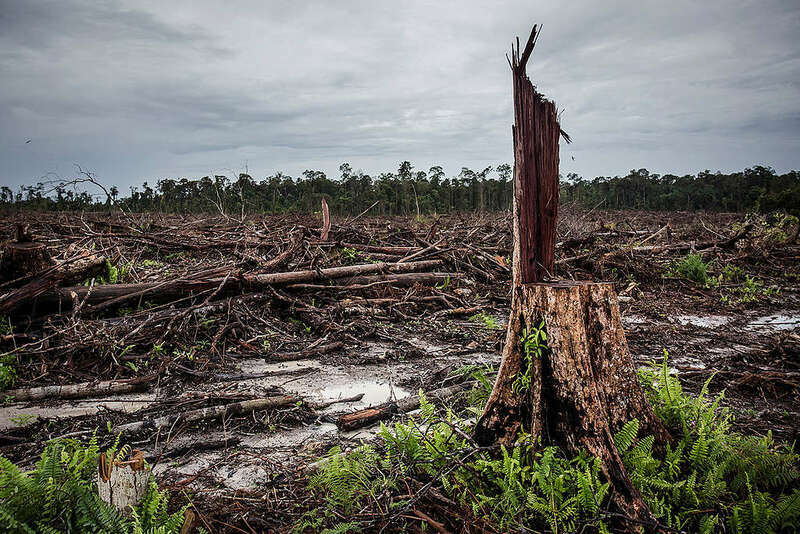 The thousands of species that go extinct each year due to human activity don’t matter since they were not, allegedly, adding anything to human economics or well-being. This suite of discounts bolsters the Nordhaus argument that slowing carbon emissions is not important. In a 1992 paper, Nordhaus feigned to take the 1972 Limits to Growth study seriously, while shrewdly mocking the study, referring to its acceptance by the “popular imagination” and by “the anti-growth school … of pessimism,” wherein people “fretted” over trivialities such as “climates overheated by greenhouse gases.” Meanwhile, he implied that sophisticated economists, such as himself, understood that “an efficiently managed economy need not fear … resource exhaustion,” nuclear meltdowns, or global heating. By insisting on linear, simplified economic models, dismissing biophysical limits as trivial, status quo economists ignore the way dynamic living systems actually function. Biological growth in living ecological system necessarily encounters complex interactions, resource depletion, population limits, waste recycling, feedbacks, and system-changing tipping points. All of this remains virtually absent in Nordhaus and most of modern economics. Nordhaus admits that his analysis relies on “oversimplifications” of “climatic complexities,” but claims that “oversimplifications are necessary … allowing greater transparency.” What he means here by “transparency,” is that he can substitute easily understood mathematical formulae for genuine ecological complexity. This is convenient, but not necessarily accurate. The map is not the territory. This failure to correctly account for energy transformations leads to what systems-theory economists believe is Nordhaus’ central error regarding climate change: The so-called “Nordhaus Damage Function,” a mathematical construction that allegedly accounts for future damages from climate change. In his 2017 paper, just prior to his “Nobel Memorial” prize, Nordhaus claimed — based on his Damage Function — that a 3°C change in average Earth temperature would only reduce global GDP by 2.1%, and that a soaring 6°C change would only slow GDP by 8.5%. Nordhaus considers these economic losses acceptable, concluding that climate action is unnecessary. For this, he won his profession’s highest honour. To understand how absurd the Nordhaus Damage Function is, consider two scenarios. First, imagine that Earth got colder and froze. According the Nordhaus Damage Function, this would cause a 40% loss in economic activity. Really? Sixty percent of human economic activity could continue on a frozen Earth? Secondly, assume Earth warmed up to the 6°C that Nordhaus assumes is acceptable with an 8.5% loss in global economy. The last time Earth heated up by that magnitude, during the Permian age, 235-million years ago, the warming took millions of years, and led to the largest extinction event of all time, during which 95% of Earth’s species went extinct. The last time Earth sustained an average temperature 6°C higher than today, no humans existed on Earth. Real ecosystems remain complex and non-linear. Consider that a 1°C rise in average ocean temperature can produce a 4-6°C increase in shallow coastal zones, killing off seagrass, the food and shelter source for small fish, thus depriving larger fish of food and creating anoxic dead zones. None of this would be captured in Nordhaus’ prize-winning mathematical function. We know that dangerous feedbacks from global heating have already appeared after a 1°C temperature increase, including methane releases, forest die-off, wildfires, and Earth’s reflective index due to melting ice. A 6°C increase would likely push us into a hothouse Earth scenario. Modern neoliberal economics serves only billionaires and bankers. The rest of humanity and all of wild nature get crushed under its simplistic, rationalising theories. “Global Wealth Report, 2018,” Credit Suisse, December, 2018. “Profit Maximization, Industry Structure, and Competition: A critique of neoclassical theory,” Steve Keen & Russel Standish, J. Physica A 370, 81–85, 2006. “Debunking Economics: The Naked Emperor of the Social Sciences,” Steve Keen, Pluto Press Australia, 2001. “Damages Function Estimates,” Global CCS Institute. “What is the ‘Damages Function’ for Global Warming and what difference might it make?” Martin L. Weitzman, Department of Economics, Harvard University, 2010, World Scientific. “As Bad as it Gets: How Climate Damage Functions Affect Growth and the Social Cost of Carbon,” Lucas Bretschger, Aimilia Pattakou, Environmental and Resource Economics, January 2019, Volume 72, Issue 1. “Global warming: improve economic models of climate change,” Revesz R.L. et al. Nature, 508:173–175, 2014. “The structure of economic modelling of the potential impacts of climate change: grafting gross underestimation of risk onto already narrow science models,” Nicholas Stern, Journal of Economic Literature, 2013. “GHG targets as insurance against catastrophic climate damages,” Martin Weitzman, National Bureau of Economic Research, Cambridge, Journal of Public Economic Theory, Volume14, Issue2, 2012. “Are we on the road to civilisation collapse?” Luke Kemp, BBC, 19 February 2019. “The Structure of Economic Modelling of the Potential Impacts of Climate Change: Grafting Gross Underestimation of Risk onto Already Narrow Science Models.” Nicholas Stern, Journal of Economic Literature, v.1, n.3, 2013. William Rees on neoliberal economics: Via personal email. 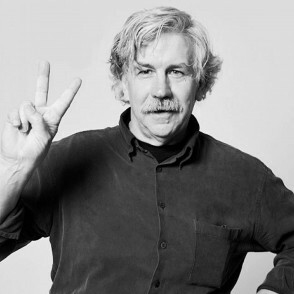 Rex Weyler was a director of the original Greenpeace Foundation, the editor of the organisation’s first newsletter, and a co-founder of Greenpeace International in 1979. Rex’s column reflects on the roots of activism, environmentalism, and Greenpeace’s past, present, and future.